With spring almost here, it is time to start planning for spring cleaning. Each year, spring is the time when people start doing a more thorough cleaning of their home. From organizing the messy garage to packing up winter clothing and from scrubbing down the kitchen and bathrooms to tending that overgrown yard, get prepared for spring cleaning this year with a little help from these products. As you begin your cleaning, the odds are you are going to have a lot of garbage to throw out. Make disposing of that clutter easier now with the Motion Sensor Trash Can. 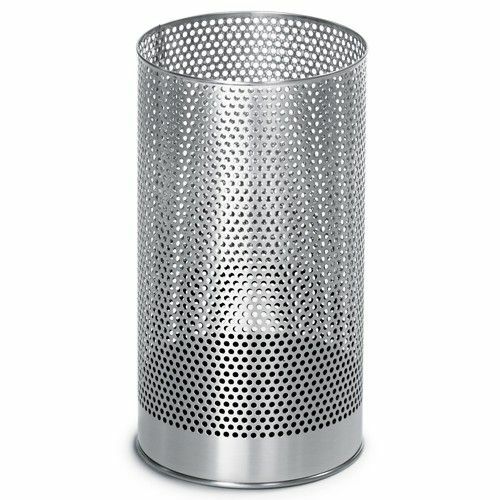 This stainless steel trash container will bring a modern touch to your living space while also acting as a great means of throwing out waste. With its motion sensor technology, you can go hands-free so there’s no more need to get your hands dirty as you open and shut the lid because it is completely automatic. Now that’s a handy means of cleaning this year. Why water plants with just a typical watering can or spray bottle when you can have the GREENS Mister. This bottle has a sleek look and feel due to its stainless steel materials, adding that extra boost of luxury to your home. Perfect for giving your plants that shower they need, try out this spray bottle this year when you are hydrating your flowers. Forget that plastic, store-bought bottle of dish or hand soap that is just messing up your kitchen or bathroom counters and go for something a little more stylish this year. The Joey Pump & Scrubby Combo is a ceramic and stainless steel soap bottle that comes with a scrubby holder and included scrubby. Use the scrubby to scrape away grime from those dirty dishes, and keep your hands nice and clean with the pump bottle after a long day of cleaning. Staying productive in the office or at home can be key to a happy and stress-free lifestyle. If you are finding that your work space is overcrowded and not ideal for working, here are just a few items that can help you organize your belongings and get you back on track. The first thing you will want to note in your office space is if you are getting adequate light. Of course, natural light from windows will help you to stay productive, but if you need some extra help, consider the LED Folding Desk Lamp. Not only is this lamp a stylish and modern design, it works as a portable table lamp to allow you to work in any setting. It is collapsible which allows it to be easily moved and also has a telescoping arm. There are several settings from dim, low light to a brighter option. If you find yourself always looking for a pen or something to write on, this MagNet Mesh Organizer was made for you. Here you have everything all in one spot, allowing you to throw away your previous scattered brain self. It also has a special strong magnetic back, allowing you to place this on the side of your desk to give you more working room. Keeping track of important dates, messages and meetings has never been easier with this Magnetic Perforated Board. Not only does the perforated steel make it attractive, you will also be sure to keep this board for a while as it can handle the daily wear and tear. The perforated aspect also is excellent for putting hooks on for keys. Now you can have everything important all in one place. This is also great for the home to help keep everyone’s schedules straight and keep important papers such as grocery lists and doctor appointments. If you often bring work from the office back home, or if your home is your workspace, the Anti-Slip Laptray is a handy tool to have. Most lap trays will be great in concept but may slide and not do the job of holding everything on it in place. This work surface has been tested with laptops, phones, cups, and bowls. 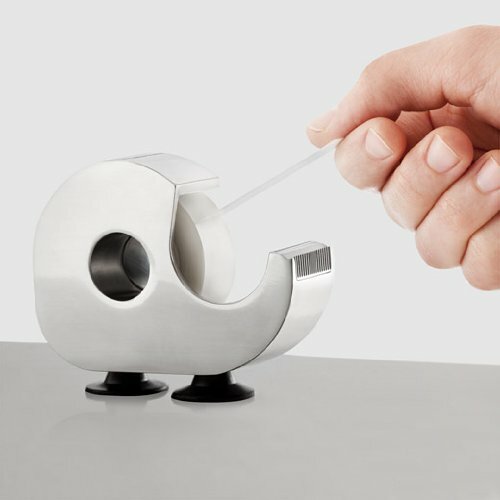 You can now be more productive by eating while you work. It also comes with a mold-able pillow bottom so that you do not have to have the direct heat of your laptop ever touch your thighs again. Do you find that you have a special area in your home that you are most productive in? Do you already use similar items in your workspace? Let us know in the comments below!